You'll be £25.00 closer to your next £10.00 credit when you purchase The Light Railways of Britain and Ireland. What's this? First published in 1985 by Moorland Press, The Light Railways of Britain & Ireland has remained unavailable for more than twenty-five years, until now. 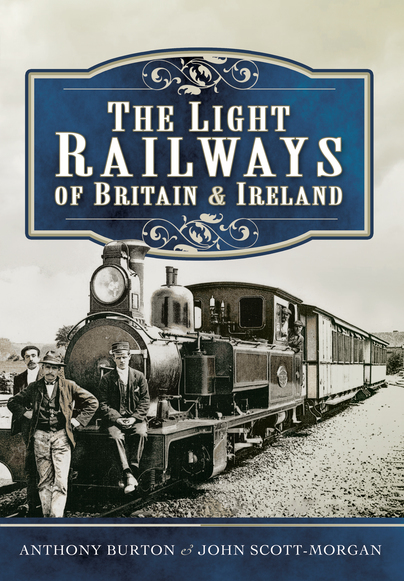 Re-released by Pen & Sword, this is a thorough and engaging book that covers, in depth, the fascinating story of Britain's last railway development, the Rural light railways, constructed as a result of the Light Railways Act 1896. Rigorously detailed, it charts the overall history of the last great railway boom in Britain – the light railway boom – from 1896, to the beginning of the Great War in 1914. During this period a large number of narrow and standard gauge lines were constructed in both Britain and Ireland, in order to serve and open up areas in both countries that, at the time, lacked adequate transport links. This book tells the story of how these lines were constructed and why, in most cases, they eventually failed, due to post-First World War road competition. Authored by two highly acclaimed writers of transport history, this is a true testament to, and a timely reminder of, Britain's last railway development. Previously published and out of print for 25 years, this latest version gives a fine insight into how and why light railways became so popular in the early years of the twentieth century. First published back in 1985, great credit is due to Pen & Sword for bringing this fine book back into print. This books tells the tale of Britain’s last railway development, the Rural light railways which were constructed as a result of the Light Railways Act of 1890. The research and detail of the writing are meticulous and it works, not just on the level of railway history, but as a social history, and one that will appeal greatly to enthusiasts of either genre. I must also give mention to the beautiful printing and presentation of this book, and the beautiful photographs contained therein. A fine and enduring piece of work.